When doing a statement run in Exchequer Enterprise, this plug-in allows you to filter out letters with small value. Filter out Statements with a small debt on the account. 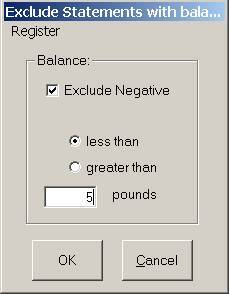 This allows accounts with very small balances to be excluded from a debt/letter or statement run.